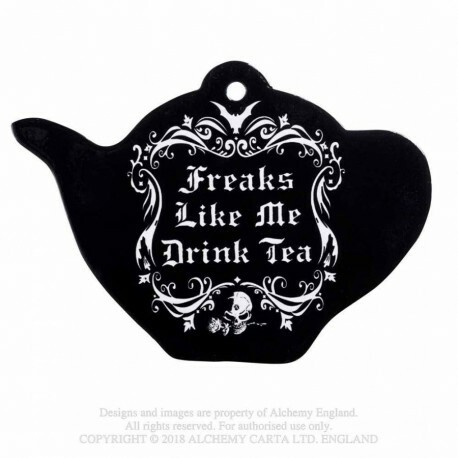 A fun and functional teapot shaped coaster baring the 'Freaks like me, drink tea' design. A darkly beautiful addition to any kitchen. This piece can be used as a coaster for mugs, pans, teapots and more! 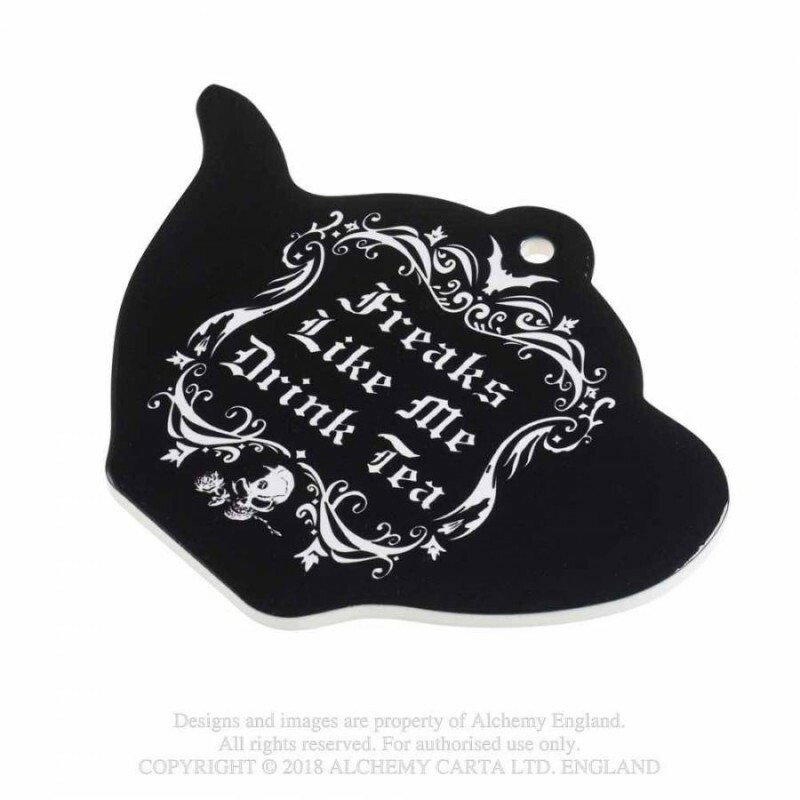 What a wonderful gift it would make for any freak that drinks tea! Ceramic trivet / giant coaster, with a non slip cork back, decorated with original Alchemy artwork.